Avenue Dental can help you keep your gums healthy, too! 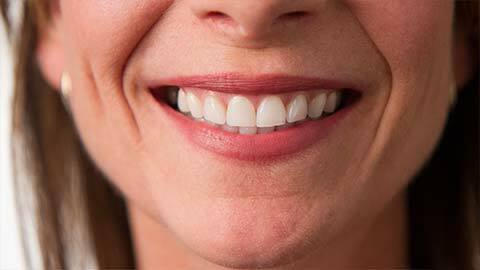 Healthy gums are a fundamental part of maintaining good oral hygiene. Sometimes, no matter how rigorous we are about flossing and brushing, we can be are prone to developing periodontal disease, also known as gum disease. Our staff can help you find out if you are at risk and decide the best treatment options to help you restore your dental health. Periodontic scaling offers a deep level cleaning to remove tartar, plaque, and diseased tissue from both above and below the gum line to allow your teeth to fight progressing gum disease. Root planing involves the same process but with the roots of the teeth. Damaged gums may result in loosening teeth that have to be extracted in order to restore dental health. Ridge or socket preservation is a procedure to prevent further bone loss after a tooth extraction by preserving the ridge and socket left behind. Ridge augmentation is preformed after a tooth extraction to improve or maintain the shape of the gum line to prevent further damage or erosion. Bone grafts are used when a tooth has been extracted and the jawbone doesn’t heal properly. Bone grafts are used to create support in the jawbone for future dental implants by healing and strengthening the bone. Gum grafting is preformed on patients who have a receding gum line due to brushing damage or gum disease. Grafts further prevent recession of the gums that may result in tooth damage. Pocket depth reduction is used when your gums have formed “pockets” around your teeth where bacteria can grow and infection can start. A pocket depth reduction procedure involves cleaning out the bacteria and securing the tissue back in place to prevent further pockets from forming. A frenectomy is a procedure to remove the frenum, which is the tissue found between the upper front teeth or under the tongue. Sometimes they interfere with dentures, or are too tight for comfort, and need to be removed by a surgeon. Crown lengthening is preformed to expose more of the tooth by removing surrounding gum tissue or bone. Periodontal disease can be very severe if left untreated. Signs of gum disease include: swollen, puffy and bleeding gums, loose teeth, abscess in gums, bad breath, temperature sensitivity or teeth that appear to be getting longer (receding gums). You can do your part to prevent disease by brushing and flossing and visiting the dentist on a regular basis. Early detection and proper treatment is the key to avoiding permanent damage from periodontal disease. If you’re worried about the health of your gums or think you may be at risk for periodontal disease call our office to make your appointment today.